Novi Sad, Serbia. Like water, the refugee flow is finding a way to detect any imaginable breach across the borders of Europe. One is Romania, though it is plagued by poor road connections and a Hungarian promise to reinforce its part of the border with razor wire. Not that other countries, even affluent ones of final destination, are necessarily that open to the suggestion. Europe’s squabbling and variation on the issue refugee transit and resettlement is proving eviscerating. Britain’s Home Secretary, Theresa May, typified that front with a statement made before the Commons: “Claiming asylum must not be viewed as an easy means of resettlement in Europe.” As if to confirm the point, the Cameron government is deploying a warship to the Mediterranean in an effort to strike the smuggling of people into Europe. What this week reads like is a train wreck in refugee politics across a continent. Railways and borders are being closed. Communication networks are being shut off. Selective controls have been imposed across several countries. There have been casual rejections of claims for asylum, with skimpy on-the-spot efforts to process requests. 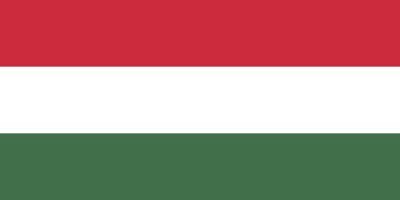 Special court sessions have been conveyed under new laws in Hungary to prosecute those breaching the newly imposed fence lines. The most forceful action thus far has come on the Hungarian-Serbian border, precipitated by a total closure of the Horgoš border crossing. The threats made for several weeks had become a reality. A shock filtered through the columns, and it did not take much for the tear gas, pepper spray and water canon to be deployed. Several people received medical attention from the Serbian ambulance service, while news crews swarmed over stories that a “refugee woman” was giving birth even as the riot was in full swing.The Serbian government has registered its fury (or “harshest possible protest”) with what it considered an extra-territorial incursion on the one hand, and an undue limitation on mobility. The Hungarian response has been to demand that more action be taken by Serbian personnel to protect police. Budapest is insistent that the border crossing will be closed for 30 days. Ugliness is everywhere. Laws are in fitful retreat. The UN Refugee Agency has made the obvious point that such measures being witnessed at the Hungarian-Serb border are “contrary to international law and European jurisprudence.” Such bottling leads to one obvious consequence: even more dangerous routes will be found. The result will naturally be a Mediterranean filled with more corpses, and rather happy people traffickers. As an official from Frontex, the EU’s border control agency explained with irrefutable logic, “Normally when one route gets blocked or more difficult, migrants’ first choice is to return to an old established route” (Financial Times, Sep 16). The Hungarian precedent is certainly catching on, and what has been termed a “domino effect” of sealing borders has begun to take its ominous shape. Austria is constricting its own routes with Hungary. Slovakia and the Czech Republic have also imposed controls. The “welcome refugees” campaign of some states is looking more insincere by the day. In this latest, and ugly chapter, the only bright, humane spot came from one of Germany’s largest wholesale suppliers of fencing material, including wiring. The Hungarian government had placed an order for razor wire with Mutanox in August. It tends to be lighter than barbed wire, and sports small cutting blades that cut flesh with greater ease than barbs. The company, however, has refused the supply Budapest claiming that razor wire was a protective measure against criminal acts. The spectacle of fleeing adults and children was distinctly something else. A Chinese firm, less concerned by such purposes and images, has managed to step in. The business of moving, and deterring refugees, is proving to be a big one.